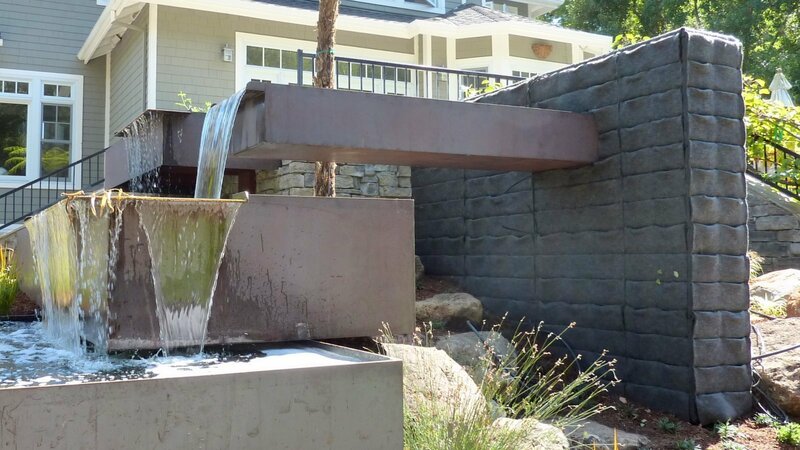 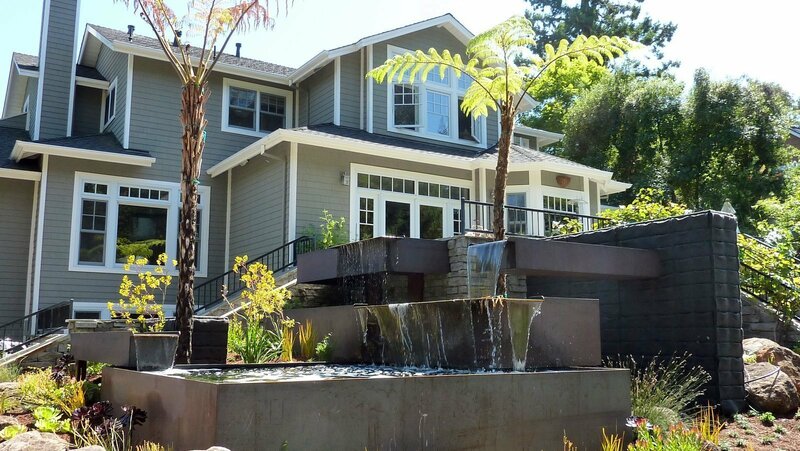 Rock & Rose, a San Francisco landscape design company, used PlantsOnWalls Florafelt Vertical Garden Planters to create vertical garden elements among core tin steel water elements for this San Carlos home. 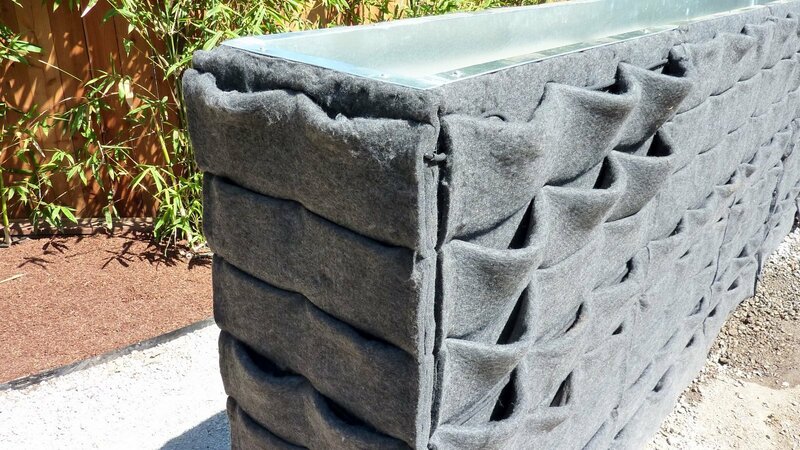 Florafelt planters cover the vertical forms and planter boxes are integrated on the top. 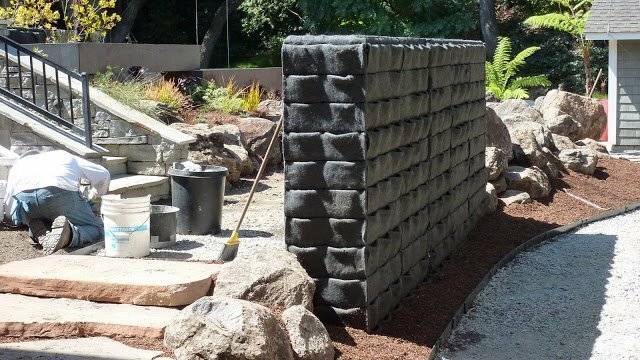 Landscape designer Tim O’Shea from Greenworks Landscape will complete the living walls using a variety of grasses and California natives.